In this lesson, we will look at what an array is, how it is used, and what it can do. Understanding arrays can be a little difficult in the beginning. But give it a try anyway... we've tried to make it as easy as possible. An array is a set of indexed elements where each has its own, unique identification number. Sound confusing? It's actually not that complicated. This is the idea behind arrays. Let us try to use it in practice. How do you use an array? Voila! "$arrFruits" is now an array! and the delimiter - i.e., the character used to split (in this case a comma) - in quotation marks: ",". Here we use a comma as a delimiter, but you can use any character or word as a delimiter. This example is very simple, and it might be a bit difficult to see the advantage of using an array for this particular task. But just wait... arrays can be used for many very useful things. Back in lesson 5 you learned about loops. Now we will look at how you can loop through an array. As you can see, the variable $x (which increases from 0 to 4 in the loop) was used to call the array. But what if we add another fruit to the list? Then our array will contain one element more - which will get the identification number 5. Do you see the problem? Then we need to change the loop, so it runs from 0 to 5, or else not all of the elements will be included. Wouldn't it be nice if we automatically could find out how many elements an array contains? 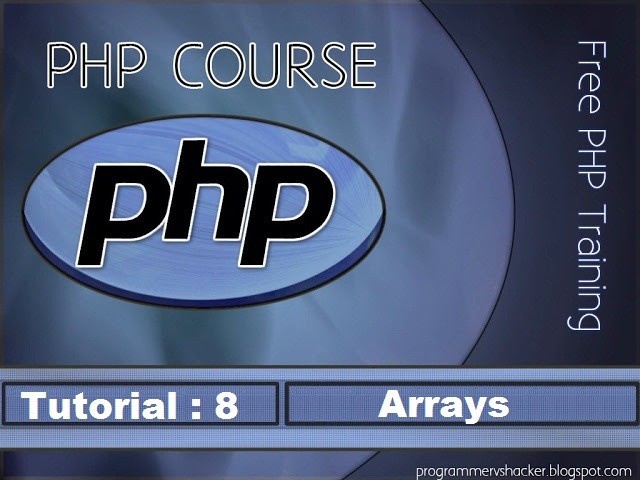 This loop will work regardless of how many or few elements the array contains. Notice that we use the function array instead of the function explode to create an array. Ok. Enough about arrays! In the next lesson, you'll learn how to write your own functions. Hi there! Guys, this article will give you best time management tips to become more productive.